Mexican Haciendas of Yucatan: History, Design and Photos. 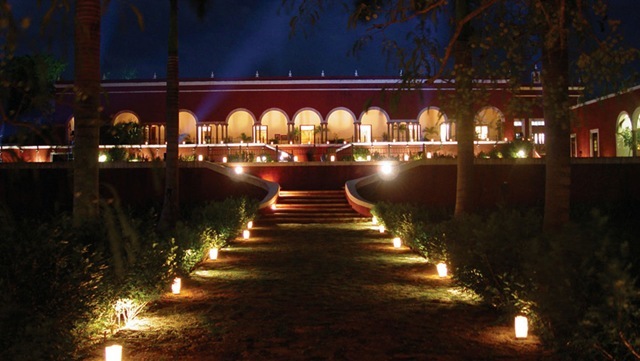 Recognized for its rich cultural history, the Yucatan Peninsula is home to a number of cultural attractions for travelers, such as archaeological sites of ancient Mayan ruins, but another no-less spectacular attraction is the Mexican hacienda. These architectural treasures are exquisite constructions with important historical significance. 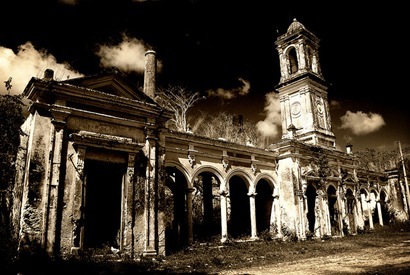 In the 16th century, the haciendas were introduced to Mexico by Spanish royalty to reward the conquistadors and other nobility with confiscated land from the Indians. They operated similar to the southern plantations of the United States as a caste system: the masters were European "hacendados" (landowners), and the slaves were "indigenas" (Indians). 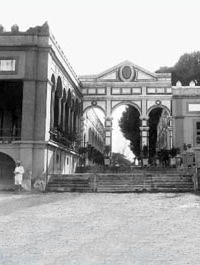 Although not lucrative for the Indians, the haciendas were successful businesses. Mexican haciendas became a major influence in Mexico's economic and political culture for nearly four centuries. Governed as small towns each led by a "hacendado," a powerful man with widespread economic and political influence, these self-sustaining, rural communities were agricultural and livestock centers producing vegetables, fruit, and meat for trade. Each hacienda focused primarily on one product common to the region. In the Yucatan, the primary agricultural crop was henequen, a type of agave plant. Sisal, a rope derived from henequen, grew so much in popularity in the 19th century that production became extremely fruitful. As a result of the high profitability from producing this rope, henequen was dubbed "oro verde" or "green gold." Mexican haciendas were private estates consisting of a primary hacienda or main house, guest residence, servants' quarters, stables, corrals, granaries, blacksmith forges, general stores, chapels, schools, and hospitals; they even wove cloth to make their own clothing. A single estate could be large enough to sustain nearly 1,000 people, including administrators, clerks, foremen, priests, teachers, and servants of Indian and mestizo (Spanish & Indian mix) descent. 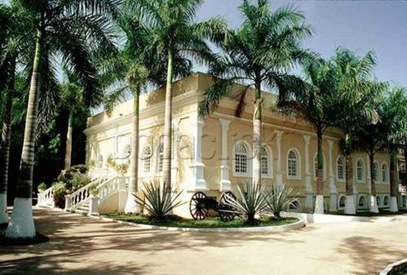 As the haciendas flourished, they became symbols of wealth, evolving into refined architectural constructions designed with imported items from across the world. Based on Spanish colonial style, the Mexican haciendas exhibit simple, solid structures with fancy, Spanish Baroque decorations in a distinctive Mexican fashion which render them Mexican architectural treasures. 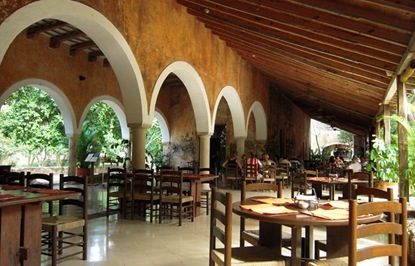 Each hacienda has its own romantic yet rugged appeal, designed with pillars, arches, natural materials, and rich colors. Unfortunately, the Mexican revolution resulted in the destruction of many haciendas between 1910 and 1920, although quite a few still exist in the Yucatan Peninsula today. 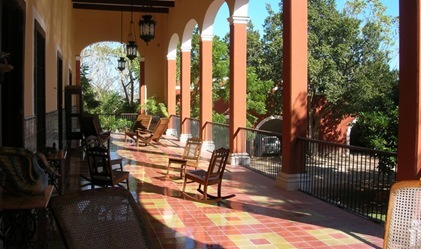 Privately owned by the descendants of landowners, purchased by independent Mexican citizens, or abandoned in the jungles, several of these haciendas are open to the public for tours. Many are found near Merida, the capital city of Yucatan, Mexico, since this is a former Spanish colonial town and cultural center of the Yucatan. 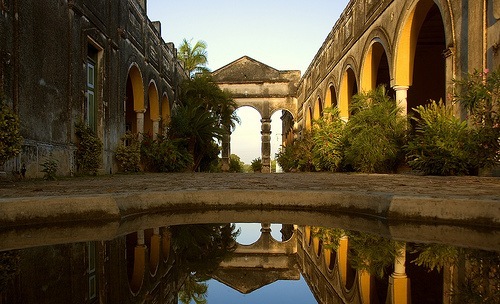 As a fascinating part of Mexican history, be sure to include a tour of the Mexican haciendas on your next trip to the Yucatan Peninsula. 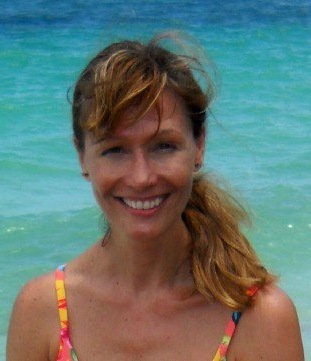 I love Yucatan Holidays Giveaways! The Hacienda’s are even more beautiful in real life….come have your destination wedding here in the Yucatan !